Choose loose, breathable fabrics. Tight tops or pants can restrict blood flow, and no one wants an accident thousands of feet off the ground. In addition, comfy, natural fabrics are easier to relax in. Comfy shoes. You will most likely be screened at TSA, so take that into account before donning your high top lace up Converse. If you are going straight to a business meeting as soon as you land, pack a small pair of heels in your personal item for when you land, or stick to professional but comfortable ballet flats. Dress relatively conservatively. Don't arrive at the gate wearing shirts with curse words or scantily clad humans on them. Airlines have been known to turn away passengers or make them turn their shirts inside out before even letting them board. If you wouldn't wear it to church with your Grandma, don't even think about wearing it on a plane. Layer it up! What if it is 90 degrees when you board your flight and then in-flight temperature drops to a frigid 73. Those shorts or dress you chose to wore suddenly will be doing more harm than good. Dress in layers when flying so you are able to add and subtract clothing articles depending on the climate. Deodorant and clean clothing. It may be tempting to douse yourself in perfume or cologne before a flight, but resist the urge. Many people are allergic to the scent and you may even find yourself hard to stand in such close quarters. Wear strong deodorant and clean clothing and you should be all set. Once you have your in-flight wardrobe squared away, don't forget to make your online reservation with Airlines Parking to save on your Detroit Airport Parking! Foul Weather? Check out our 5 Travel Tips! Check the forecast. It may be obvious, but check the forecast of your departure, destination, and any layover cities. Sunny skies? Fantastic! If you see the potential for weather at least you will be able to prepare for potential disruption in the future. Contact your airline. See bad weather where your plane will be flying? Call your airline to inquire about flight routes and get an idea of any delays or cancellation you might encounter. Ask for the "spirit" of the law. Sure, your terms and conditions may say that the airline doesn't owe you anything, but it never hurts to ask! Flight desk staff often have the ability to give meal or beverage vouchers, transfer you to a new flight for free etc. You never know until you ask! Avoid the crowds. Don't stand in line to speak with a desk agent if the line is crazy long. Call the airline's 1-800 number and chances are you will speak to an agent much quicker than your fellow travelers. Staying away from the crowds will help reduce your stress. Stay calm during your flight. If your flight does take off and encounters bad weather, your chances for experiencing turbulence are high. Don't fret, stay calm, and fasten your seat belt. Turbulence is no worse than driving along a road with potholes. If you know flying gives you anxiety or stress, prepare accordingly. Although the weather may be bad, Airlines Parking will be here to safely shuttle you too and from Detroit Metro Airport. Don't forget to make your free online reservation to ensure your Detroit Airport Parking is ready and waiting upon your arrival! Now-a-days, more and more people are forgoing the traditional "show up at the airport and try and find parking," and choosing the less stressful alternative known as off-airport parking. 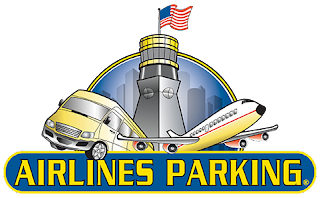 Airlines Parking has been serving Detroit Metro Airport as an off-airport parking carrier for many years, so we know what you want and strive to serve your every need. 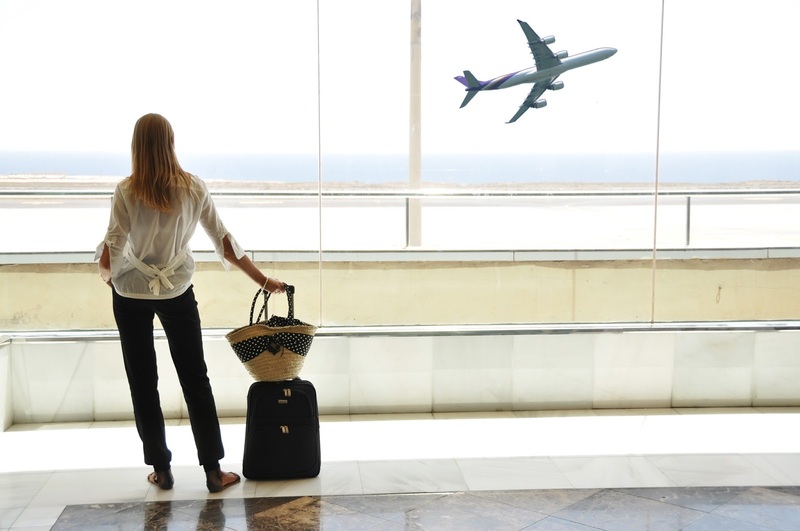 Choosing off-airport parking will actually save you time and money! Whether you live in Detroit and plan to park with Airlines Parking, or you reside in a far off city, chances are your large airport boasts an off-airport parking facility. Instead of driving around for 15 minutes searching for a parking spot that is safe and budget friendly, why not make a free online reservation from the comfort of your own home, weeks before your departure date? Not only will you eliminate some of the stress related with Detroit Metro Airport Parking, you will be paying much less per day than the airport charges. In the time that you would spend looking for a parking space on airport property, you could be pulling into our facility and enjoying a free shuttle ride to the airport while you car rests securely on our lot. Who likes to drive through the confusing airport anyway? Leave that to our experienced staff and prepare for your trip! Well, what are you waiting for? Make your online reservation today and start your Detroit Airport Parking journey. Revolutionize your travel!